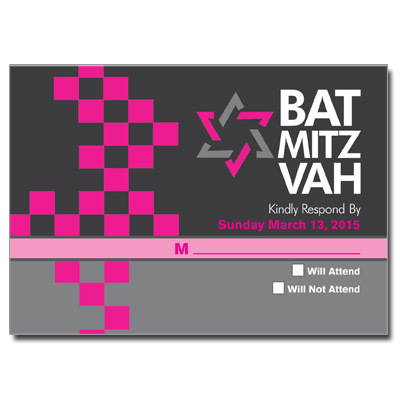 This Bat Mitzvah invitation is stylish and modern. 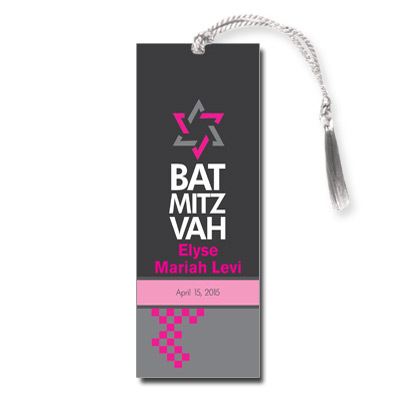 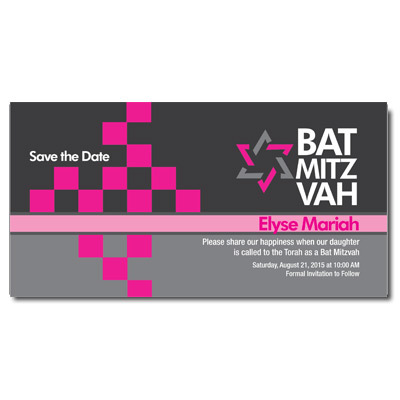 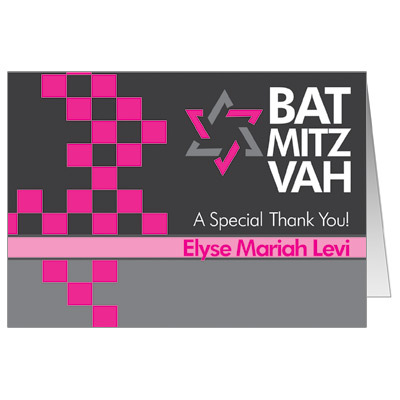 A checkerboard pattern and stylized Star of David pop in bright pink against a dark gray background and your child's name and personalized event information are featured in stripes of color. Card measures 7x5.